We arrived in Moscow yesterday afternoon — the end of our 5,568-mile train journey from Beijing. 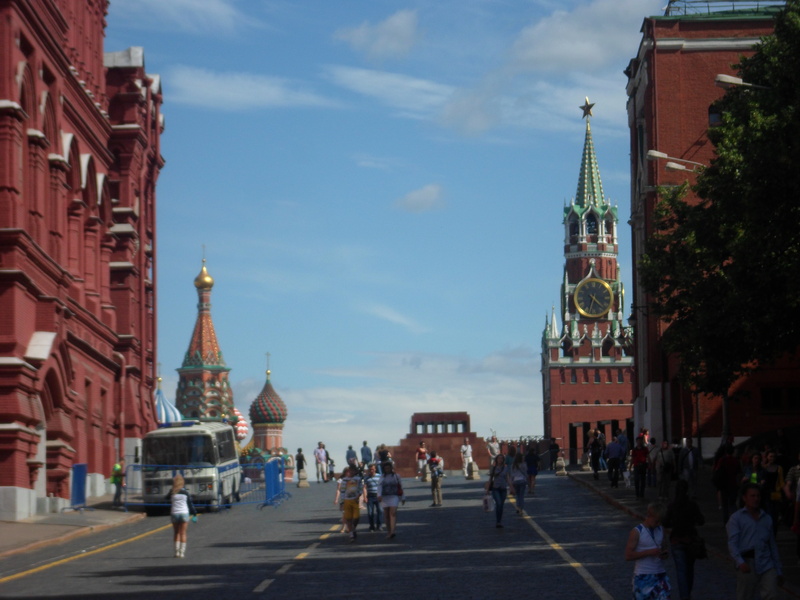 We got in a little bit of sightseeing, heading first to Red Square, of course. 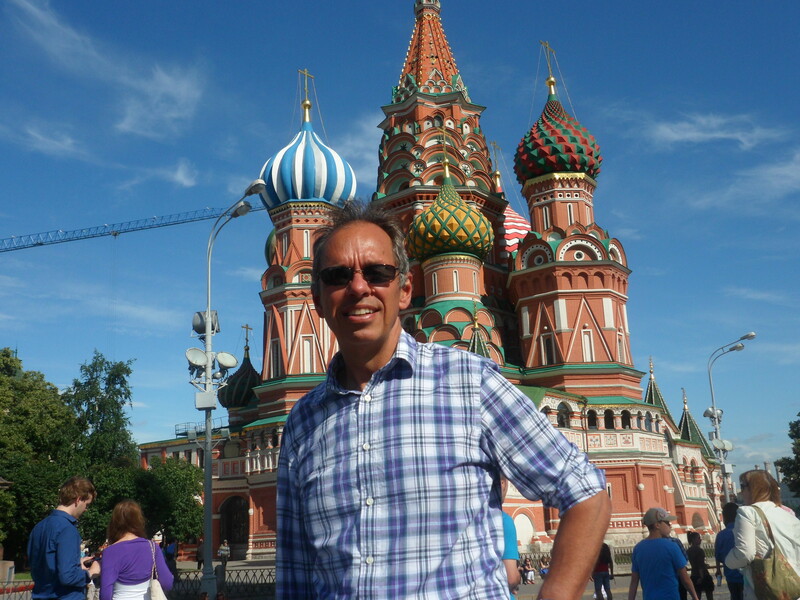 This is my third time in Moscow, and every time I see Red Square I’m blown away again by the imposing towers of the Kremlin and the dazzling gold-domed churches behind its walls. Even though summer just officially arrived today looks to be cool and overcast, a good museum day. My parents were just here in Moscow a few days ago and loved the Armoury museum inside the Kremlin, so we are headed there first thing this morning. First glance at Red Square — St. Basil’s Cathedral toward the left, Lenin’s mausoleum in the middle, the Kremlin on the right.